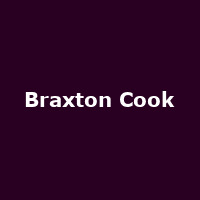 "Braxton Cook is one of this generation's brightest up and coming alto saxophonists and songwriters. He has performed alongside Wynton Marsalis, Jon Batiste and has toured the world many times over with Grammy Nominated Trumpeter Christian Scott. As a band-leader, he has already recorded and released two projects and is now currently working on his debut album. His newest music features not only his abilities as a saxophonist and songwriter, but also features his vocal abilities. Braxton melds all of these elements into his music creating a very unique genre-blending sound that is accessible to the avid Jazz listener as well as to the R&B and Soul music lover."